MOSCOW — Russian border guards opened fire on three Ukrainian vessels in the Kerch Strait near the Russia-occupied Crimean peninsula, raising the prospect of a full-scale military confrontation. The incident comes on the back of a four-and-a-half year long proxy conflict in eastern Ukraine. The ship seizure has prompted global concern and raised questions about eventual international intervention. NATO and the U.N. Security Council are holding emergency meetings to discuss what to do. Russia's actions are drawing renewed Western anger — and demonstrating Russian President Vladimir Putin's resolve just days before he meets U.S. President Donald Trump at the Group of 20 summit in Argentina. The European Union is calling on both sides to stay calm, but is distracted by negotiations on Britain's pending departure and divided over migration, and may have little energy to deal with a new Ukraine crisis. The Kremlin vehemently opposed the deal, fearing an uncontrolled flow of goods through what was then virtually an open border. Despite his close ties to Russia, President Viktor Yanukovych publicly pledged to sign the deal — only to walk out on it at the last moment. Massive street protests followed, decrying Yanukovych for what was seen as an attempt to deny Ukrainians a European future. A crackdown by riot police saw 130 people killed in sniper fire. Yanukovych fled the capital to Crimea and was eventually whisked away by Russian special forces to southern Russia. An interim government, made up of the protest leaders, stepped in. 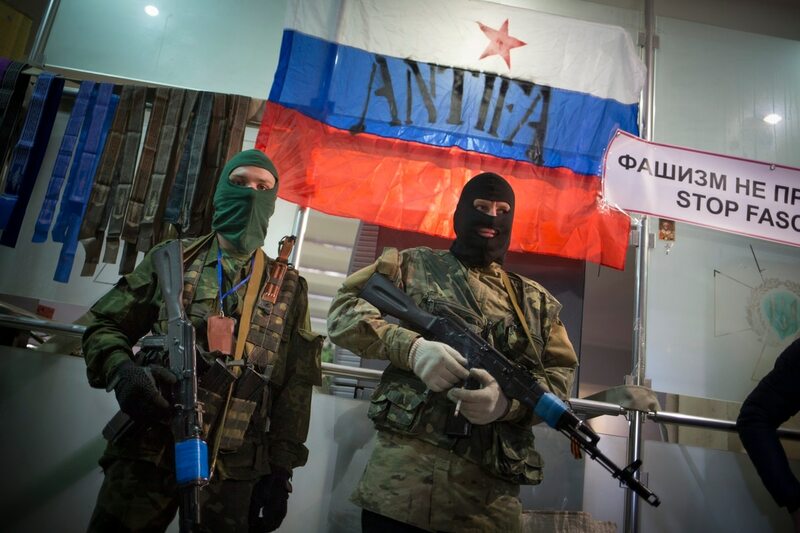 In February 2014, Russian officials began arriving in the Crimean peninsula shortly after the pro-Western government took power in Kiev, fanning fears of an onslaught on Russian heritage in parts of Ukraine including Crimea. 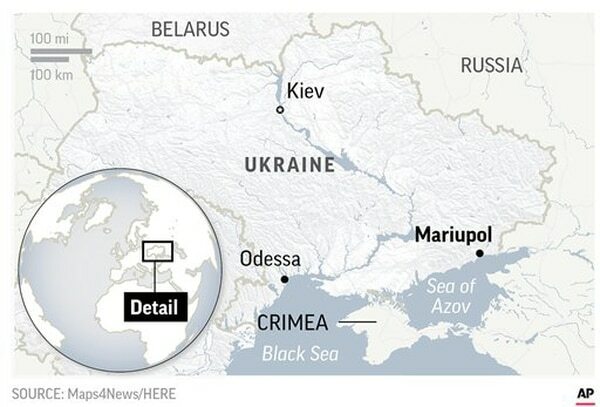 Troops without insignia soon appeared in Crimea, occupying crucial infrastructure including Ukrainian military bases. It was only years later that Putin publicly admitted that these were in fact Russian troops. Would-be separatist commander and Russian officer Igor Girkin later recounted how he and other Russian officers forced the hand of local Crimean lawmakers to pass a motion for a referendum to secede from Ukraine and join Russia. An overwhelming majority of votes cast on March 16, 2014, supported secession. Two days later, Moscow signed a declaration with self-proclaimed Crimean officials, sealing the annexation. Neither the vote nor the annexation was recognized by the United Nations. In the latest manifestation of Ukraine's resolve to break off with Russia once and for all, Kiev has stepped up its efforts to seek independence for its Orthodox church. The church in Ukraine has been tied to the Moscow Patriarchate for hundreds of years. Calls for independence have increased since the conflict began. While Sunday's incident — which some call the first overt military confrontation between Russia and Ukraine — raises the spectrum of a full-blown conflict, it is not likely that either side would want an all-out-confrontation. By opening fire on the Ukrainian vessels, Moscow reinforced its message that Crimea is Russian for good and that Moscow will not allow anyone to question that. In Ukraine, President Petro Poroshenko is likely to benefit from the martial law that he is proposing. Poroshenko’s approval ratings have been in a free fall, and delaying the March presidential elections and playing up the Russian threat could help him get re-elected if the vote is held at a later date.